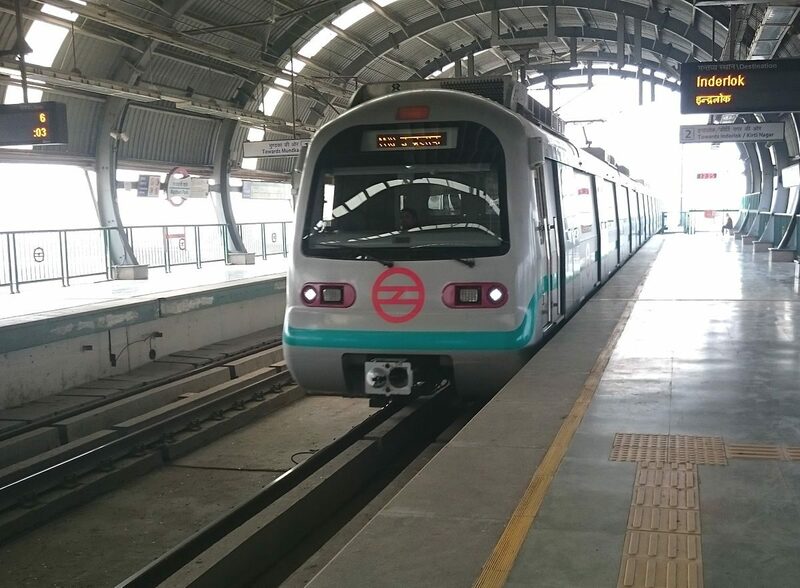 New Delhi: The Delhi Metro Rail Corporation (DMRC) has announced opening date of Mundka-Bahadurgarh corridor today. The satellite city of Bahadurgarh in Haryana is all set to get Metro connectivity with the completion of work on the 11.183 kilometre long Mundka – Bahadurgarh Metro corridor. After opening of this section, it will third connectivity to some urban area of Haryana State after Yellow Line and Purple Line which are connecting Gurugram and Faridabad cities of Haryana respectively. Apart from connecting the metro services to Bahadurgarh this corridor will also provide metro connectivity to many areas of outer Delhi of the western fringes of the city viz. Mundka, Ghevra, Tikri Kalan etc. The Delhi Metro will expand its network to 288 kilometers with 208 metro stations after opening of this long waited section. After the completion of this corridor, the entire Inderlok/Kirti Nagar – Bahadurgarh section will become 29.64 kilometres long. The Mundka – Bahadurgarh section will be extremely crucial from the point of view of connectivity of the city of Bahadurgarh as well as parts of West Delhi. Bahadurgarh is an upcoming urban settlement which has many industrial units. Similarly, Mundka also has an industrial area where many people travel every day for their professional requirements. This corridor will be of help to these people. This section will be Delhi Metro’s third extension to Haryana after Gurugram and Faridabad. Haryana already has over 21 kilometres of Delhi Metro lines. With this section, the Delhi Metro section in Haryana will expand to 25.8 kilometres. Bahadurgarh is a bustling urban settlement in the Jhajjar district of Haryana with a population of about one lakh and seventy thousand people. The Bahadurgarh Industrial Area houses many industrial units and is a source of employment for lakhs of people who travel there from Delhi. Besides, Bahadurgarh has also developed into an educational hub and houses many universities and colleges. Many students travel to these institutes from Delhi every day. This connection will be of great help to them also. Many areas of Outer Delhi in the western parts of the national capital will be benefitted. The Mundka Industrial Area also has many industrial units. This apart the localities of Ghevra, Tikri Kalan will be connected by the Metro for the first time. The people working in the Industrial Estate, Bahadurgarh will be benefitted with the Modern Industrial Estate (MIE) metro station. This area has many industries around the NIE Metro station. The Bus Stand Metro Station in Bahadurgarh has seamless connectivity with the interstate bus terminal which provides connectivity to other areas in Haryana. The Bus Stand Station in Bahadurgarh, being situated at one of the most congested locations faced innumerable problems due to paucity of space, presence of a crematorium ground on the north side, presence of many water, electrical and other underground utilities etc. Moreover, there was huge traffic congestion on the south side of the station due to the bustling Bahadurgarh bus stand. Due to the congestion, it was impossible for DMRC’s engineers to divert the traffic running on both sides of the median and prepare scaffolding for spanning the carriageway to allow traffic below it. The two electric lines of 440 KVA and 220 KVA at Tikri kalan and MIA station were raised to a height of 60 mtrs. Specially designed Mono pole of height 60 mtrs was erected for the first time in India instead of lattice structure to raise the height of these power lines. Mundka Industrial Area station has been constructed on a busy NH-10 as an integrated station with provision of a future metro track crossing the Green line. This resulted in raising the rail level of MIA station of Green line to 22 mtrs above the ground level. There were multiple utilities at the ground level also which were accommodated/diverted. The construction of MIA station on NH-10 was done without disturbing the traffic flow on NH 10. The facade of the Mundka Industrial Area station of the corridor has been decorated with beautiful terracotta designs. All the other stations also have a bright and vibrant colour scheme with bright yellow pillars on the platforms. The lifts also have been done in eco-friendly red terracotta tiles at all the station which are giving a vibrant look to the structures. The roof tops of the elevated stations have also been redesigned for better aesthetics. DMRC is committed to provide environment friendly Metro system and as part of this endeavour, DMRC is installing Solar PV power plants at various locations in existing as well as upcoming DMRC metro corridors. Efforts are made to integrate solar PV power plants at construction stage itself in the upcoming network of DMRC. All the roof-top solar plants are being installed under RESCO model, till date 23 MWp capacity has already been commissioned in the DMRC network. In Bahadurgarh Depot, Roof Top Solar Plants with total capacity of 783 kWp has been installed under RESCO model, which is spread over 7 different roofs. It is estimated to generate 1 million Unit of energy per annum, (i.e.approx. 2,800 Units per day), which will be adequate to meet the day time auxiliary energy requirement (i.e. lighting, air conditioning, etc.) of the Depot. 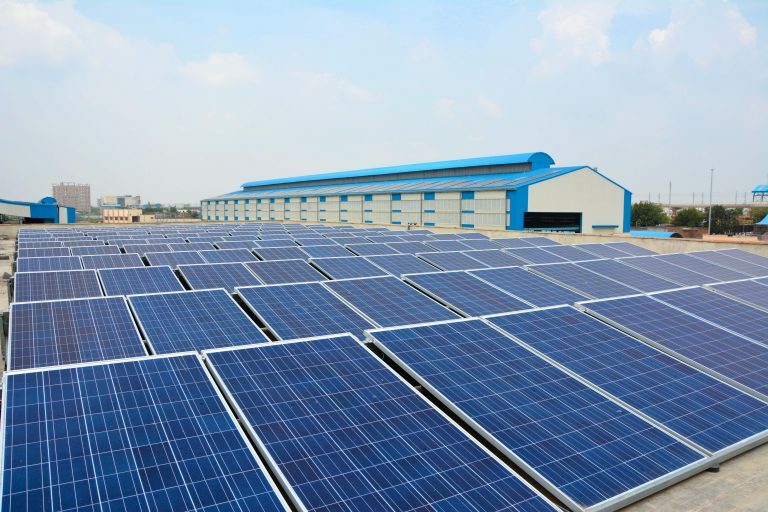 Further, work to install additional 700 kWp capacity, solar plants on the roofs of 7 stations of Mundka – Bahadurgarh corridor will commence shortly, for which the developer has been finalised. Energy generated from these plants will be adequate to meet the entire day time auxiliary load of these stations. All the seven stations of the Line-5 extn. (Mundka – Bahadurgarh corridor)are equipped with the latest energy efficient equipment / systems, such as LED lighting, Regenerative Braking in Lifts, VRV Air conditioning, etc. All these stations have been rated as platinum by the Indian Green Building Council for adherence to green building norms. As per the time table for the entire Inderlok/Kirti Nagar – City Park section, a total of 20 trains will be put into service. Every alternate train from Mundka will go up to City Park in Bahadurgarh and a frequency of around 8 minutes will be maintained between Mundka and City Park. The total running time between Inderlok/Kirti Nagar and City Park (Bahadurgarh) will be about 50 minutes.